Montevideo is the capital city of Uruguay with its port being the country’s most important economic drive. 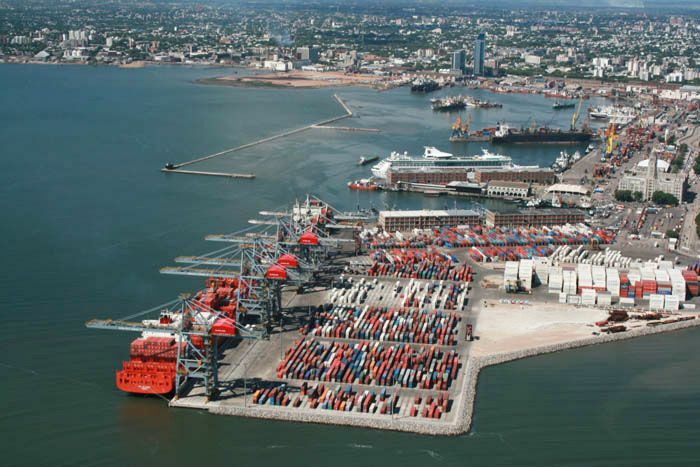 Montevideo bay is located on the River Plate and offers natural protection to ships, although there are now two jetties that protect the harbor entrance of the waves. Due to Uruguayan politics it is considered a “free port” meaning that the transit of commodities receives no customs restrictions.